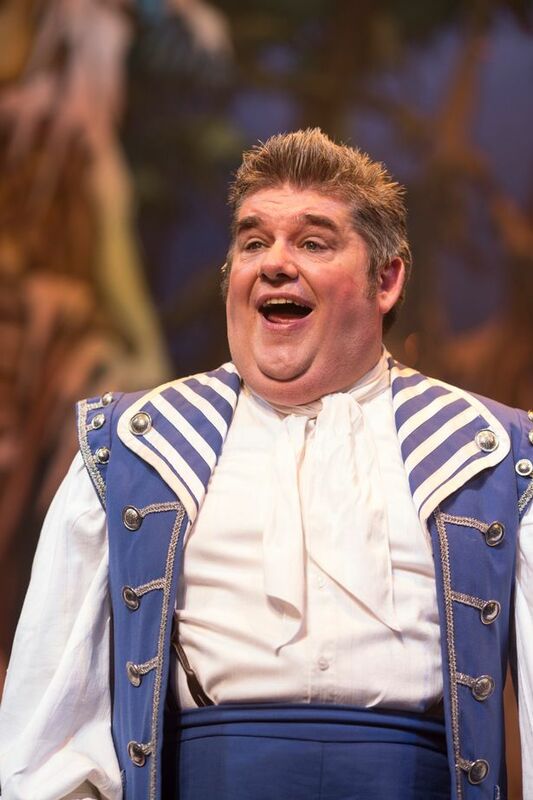 After a considerable time away from the world of Panto, 26 years in fact, André returned with a triumph in 2009 in Robin Hood at the Theatre Royal, Norwich as Mutch. 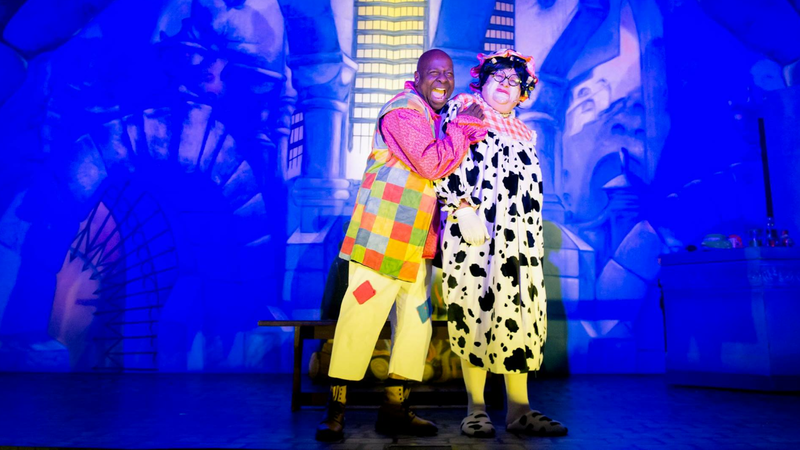 The comedy role suited him to the ground and he returned to Norwich for the next four years playing Billy Trott in Jack & the Beanstalk, Mudlles in Sleeping Beauty and Wishee Washee in Aladdin. 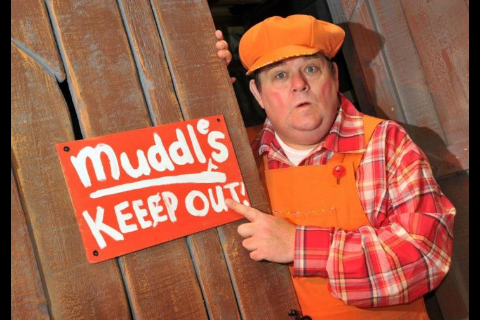 He was then cast in 2015 as Buttons in Cinderella at Manchester Opera House, a new stunning production starring Torvill & Dean. 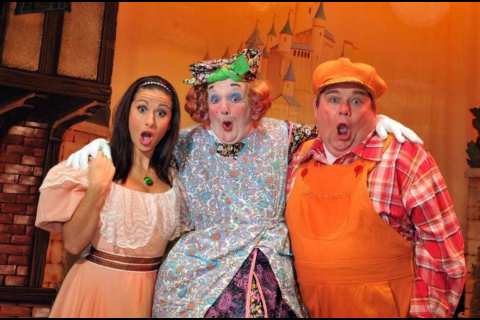 Sadly it was a show he really didn't enjoy doing and thought his new experience with Panto might be over. But the someone suggested putting on a dress. 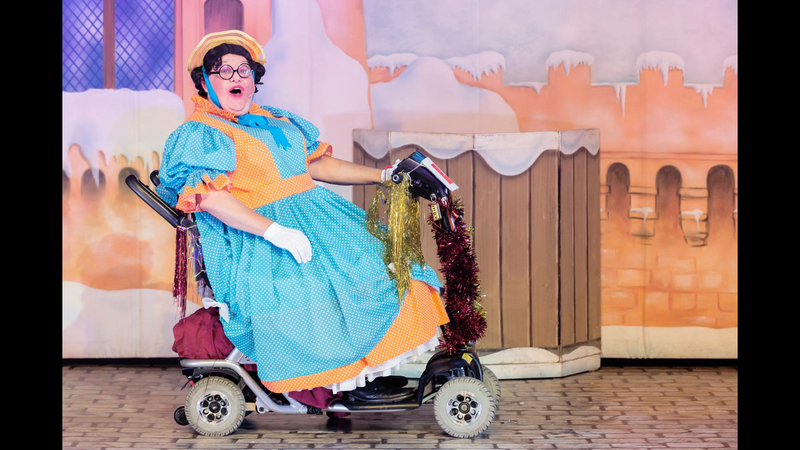 His first encounter was as Dame Dolly Dimple in Snow White at Redditch Palace. 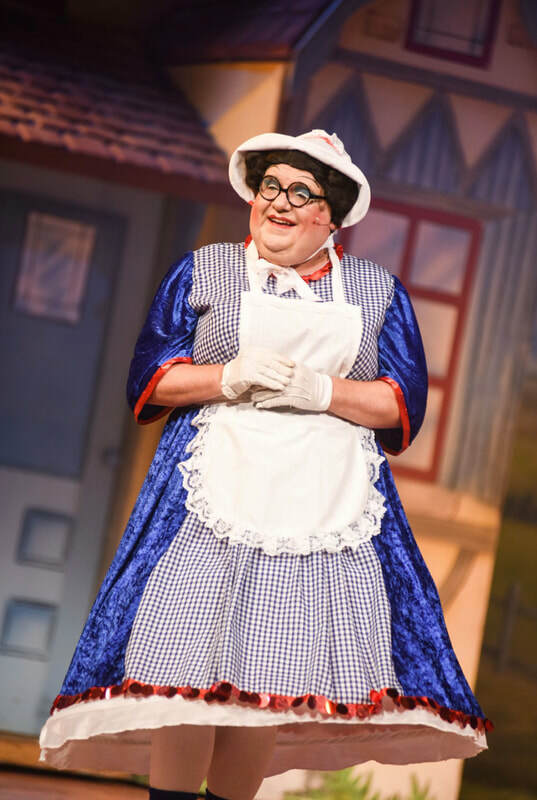 He wore the skirt well and was applauded as the perfect traditional Dame. 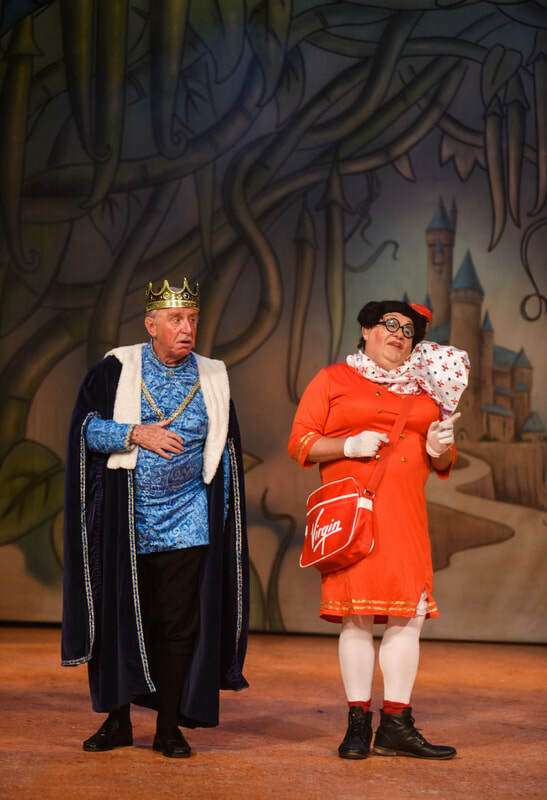 A year later he re-frocked and was playing Dame Trott in Jack & the Beanstalk At Bridlington Spa.